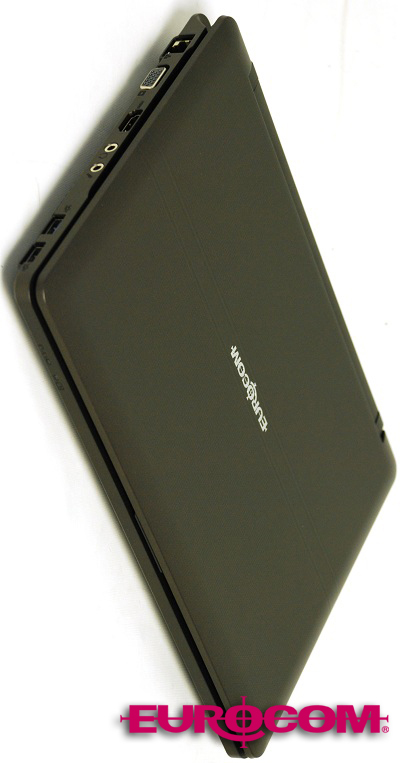 Eurocom Corporation (www.eurocom.com), a developer of long lifespan, high performance, fully upgradable Notebooks and Mobile Workstations is shipping a small form factor ultraportable notebook capable of running multiple virtual machines and multiple operating systems with up to 16GB memory and 1 TB storage while weighing under only 4 lbs. “The EUROCOM Monster is capable of running up to 8 virtual machines due to its high performance hardware; Intel Core i7 3920XM processor, NVIDIA GeForce GT 650M graphics combined with 16GB DDR3-1600 memory and up to 1 terabyte of storage with up to 410 minutes of battery life. This is the perfect system for mobile professionals who need exceptionally capable hardware for such things as mobile server applications, technical presale, CUDA and OpenCL development on the go” Mark Bialic, Eurocom President. Virtualization increases your computer systems efficiency while increasing the value and capabilities of your investment by allowing multiple operating systems, applications to run simultaneously on a single computing system. The EUROCOM Monster 1.0 takes virtualization one step further by being very mobile. Although many will look at the Monster as a pure gaming machine, Eurocom is seeing a great deal of interest from professionals of all kinds. “In my case I have chosen the impressive Intel Core i7 3820QM processor with 4 cores, 8 threads and 8 MB of L3 Cache with 16 GB DDR3-1600 RAM and a 240 GB Intel 520 Series SSD. I can run plenty of VMs at the same time: w2k3 r2 sp2, w2k8 r2, CentOS 6.....with no problem. The performance with MatLab and others engineering tools is amazing. Never seen that in a 11.6 inch portable” Koldo Valle Garcia (@kanelus), Computer Science and Communications Services, Elecnor. “Many of our professional customers are becoming very attached to their EUROCOM Monster because it has the capability and mobility that on-the-go users crave” Mark Bialic, Eurocom President. The EUROCOM Monster is a small form factor high performance notebook with 16GB DDR3-1600 memory and 1 terabyte of storage. Graphics are controlled by the NVIDIA GeForce GT 650M GPU with 2GB of video memory, 384 CUDA cores, with the graphics clock running at 850 MHz making this graphics powerhouse the ultimate mobile computing machine. “My experience with the little monster is great. It is a very robust but small portable. Almost rugged and very light. Nice for traveling” Koldo Valle Garcia. With the increasing mobility of today’s workforce, the need for an office like environment in the field increases. Teams working with mobile workstations on their customer site or anywhere outside their office need a system to run multiple applications, and have multiple operating systems available.